Jive Media Africa completed a ground-breaking communication campaign for the United Nations Office on Drugs and Crime (UNODC) in association with the National Dept of Social Development (DSD). 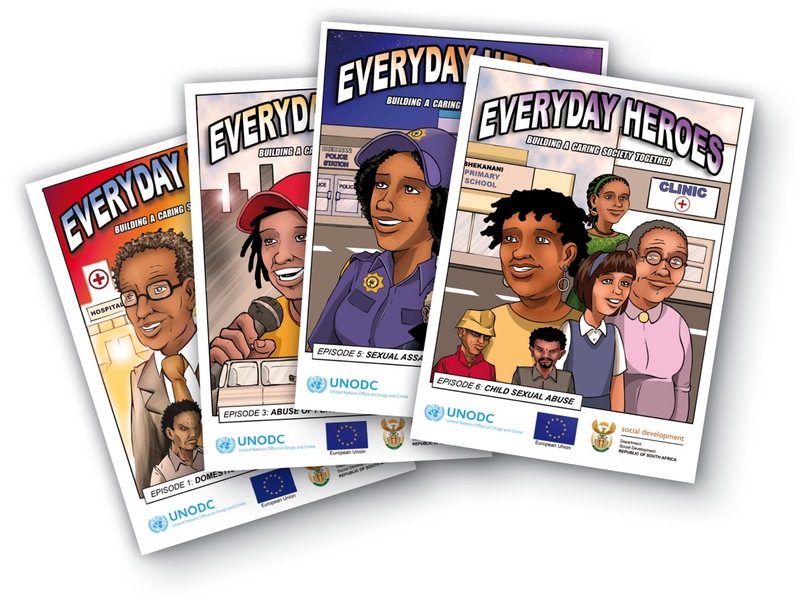 The Everyday Heroes Comic Book Campaign highlights the role of communities in supporting victims of crime and violence. There are six comic books in the series: Sexual Assault, Domestic Violence, Child Sexual Abuse, Human Trafficking, Abuse of Older Persons and Abuse of People with Disabilities. 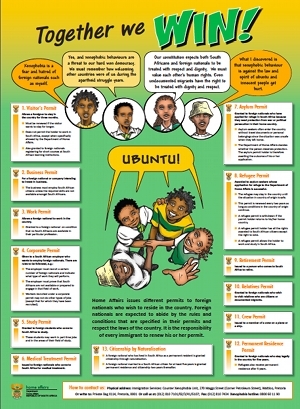 These comics have been translated into six South Africa languages. The contract also involved developing a website, animatics, a distribution strategy, as well as carrying out a pilot project and M&E. Jive Media Africa has developed books, comics, websites, DVD’s, media campaigns, etc. for a variety of Human Rights organisations/ institutions. Jive Media Africa is careful to raise issues in a constructive manner, rather than taking a reactionary approach. Jive Media Africa hopes to role model good practice through its story-lines, and through how issues in the stories are tackled.